Bajaj Pulsar 150 Twin Disc: What Has Changed? The Bajaj Pulsar 150 Twin Disc gets a rear disc brake, and gets a few bits and pieces borrowed from the Bajaj Pulsar 180. 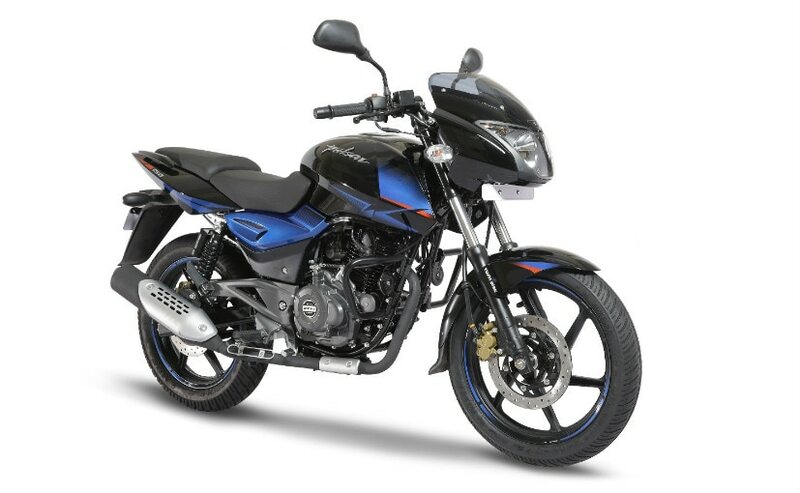 Bajaj Auto has introduced a new dual disc brake variant of the Pulsar 150, calling it the new Bajaj Pulsar 150 Twin Disc. The new variant will exist along with the single disc variant of the Bajaj Pulsar 150. Bajaj has only announced the price of the Pulsar 150 Twin Disc now, although the bike was launched and was available on sale from March. In addition to a rear disc brake, Pulsar 150 Twin Disc gets a style upgrade as well, and the bike has a slightly longer wheelbase as well. But there's more than just a few cosmetic changes. As the name suggests, the Bajaj Pulsar 150 Twin Disc now gets disc brakes at both wheels, but ABS is still not offered, even as an option. The price of the Pulsar 150 Twin Disc has been officially announced now, but the bike was launched in March, and was available on sale at Bajaj dealerships since last month. So, effectively, the Pulsar Twin Disc doesn't have to comply with new regulations which state that motorcycles with 125 cc engines and above, and launched on or after April 1, 2018, have to have mandatory ABS. The Pulsar 150 Twin Disc also gets updated styling, more in line with the Pulsar 180. So, the bike gets split seats, split grab rails, aluminium-finished footpegs, and is available in a choice of three new colours - Black Blue, Black Red and Black Chrome, with new graphics. The 17-inch alloy wheels have the matte black treatment and now get colour coordinated stripes along the rims. The front suspension has been borrowed from the Pulsar 180 as well, and is now a thicker 37 mm telescopic unit. Also new is the swingarm, borrowed again from the Pulsar 180, which is slightly longer, and has increased the bike's wheelbase. The rear tyre of the Pulsar 150 Twin Disc is wider as well. Compared to the 100 mm rear tyre of the standard Pulsar 150, the Twin Disc variant gets a 120 mm rear tyre, giving the bike a more muscular look. The engine of the Pulsar 150 Twin Disc remains unchanged. The 149 cc, single-cylinder, two-valve, twin-spark motor makes just under 14 bhp at 8,000 rpm of power, and 13.4 Nm of peak torque at 6,000 rpm. The engine is the same, but Bajaj says the Pulsar 150 Twin Disc has undergone significant improvements in noise, vibration and harshness (NVH) levels, with optimisations in the chassis and engine touchpoints. According to Bajaj Auto, NVH improvements are an ongoing process and these have been passed on to the consumers in the Pulsar 150 Twin Disc. The Bajaj Pulsar 150 Twin Disc is priced at ₹ 78,016 (ex-showroom Delhi). The single disc brake variant will continue to be available on sale and that costs ₹ 73,626 (ex-showroom Delhi). So, the single disc brake version still costs more than ₹ 4,000 less, but for that extra bit, the consumer gets the added features and styling updates. The Pulsar 150 Twin Disc will compete with the likes of the Honda CB Unicorn 160, Honda XBlade and even the TVS Apache RTR 160 with the rear disc. The Apache RTR 160 4V though is more expensive.